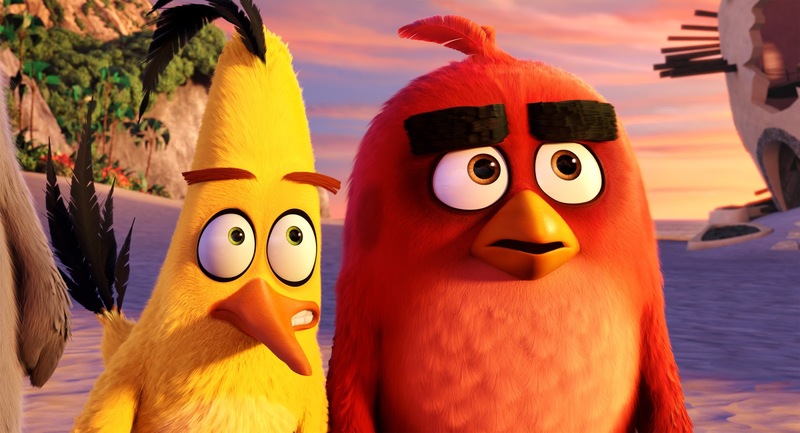 The delightful characters from the beloved – and addicting – mobile game app come to life in the new trailer for Columbia Pictures' “The Angry Birds Movie.” The trailer may be viewed here. The movie takes us to an island populated entirely by happy, flightless birds – or almost entirely. In this paradise, Red (Jason Sudeikis, “Horrible Bosses”), a bird with a temper problem, speedy Chuck (Josh Gad in his first animated role since “Frozen”), and the volatile Bomb (Danny McBride, “This is the End”) have always been outsiders. But when the island is visited by mysterious green piggies, it’s up to these unlikely outcasts to figure out what the pigs are up to. Featuring a hilarious, all-star voice cast that includes Bill Hader (“Inside Out”), Maya Rudolph (“Bridesmaids”), and Peter Dinklage (“Game of Thrones”), as well as Keegan-Michael Key (“Pitch Perfect 2”), Kate McKinnon (upcoming “Ghostbusters”), Tony Hale (“Veep”), Ike Barinholtz (“Neighbors”), Hannibal Buress (“Broad City”), Jillian Bell (“22 Jump Street”), Danielle Brooks (“Orange is the New Black”), Latin music sensation Romeo Santos, and YouTube stars Smosh (Ian Hecox and Anthony Padilla), the Columbia Pictures/Rovio Entertainment film is directed by Fergal Reilly and Clay Kaytis, produced by John Cohen and Catherine Winder, screenplay by Jon Vitti, and executive produced by Mikael Hed and David Maisel.